Recently, I had the opportunity to visit the beautiful horse country just outside of Charlottesville and chat with Dan Potter and Tim Edmund to learn about Potters Craft Cider. Potters is located in a former horse veterinary clinic on the grounds of Wildair Farm, a working horse farm, in Free Union about 15 minutes from Charlottesville. Being located on a working horse farm, Potters does not have a tasting room open to the public. 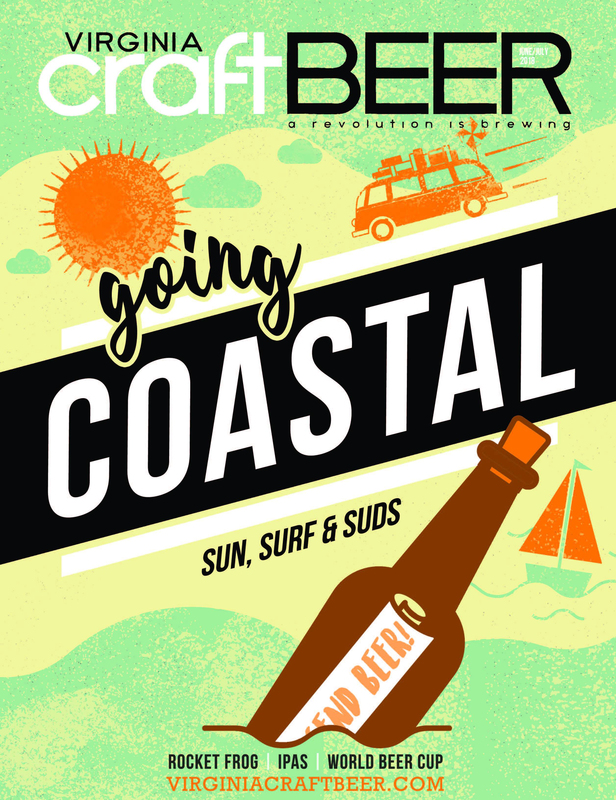 Instead, they focus on pop-up tastings and several years ago, they purchased a 31ft., 1965 Air Stream Trailer which they are transforming into a mobile tasting room. It’s been a long process as they are gutting and reworking it from the frame up and priming, sealing, and reinforcing the structure. Their goal is to be able to take it to events and also locate in semi-permanent places for weekends. In the meantime, you can find Potters at pop-up tastings at places such as Greenwood Gourmet, located where 64 & 250 cross on the way to 151. It’s a great little place to pop in to get a sandwich and sample the cider while you are there. All of Potter’s ciders start with locally-grown fruit from nearby orchards and farms. They press heirloom and traditional cider apples such as the Albemarle Pippin and Virginia Winesap as well as Gold Rush. The apples are pressed and the juice is fermented in cold temperatures which allows each apple variety the opportunity to fully showcase its flavor. They currently feature three flagship ciders. Farmhouse Dry is pale gold in color and the flavor is crisp, tart, and dry with aromas of peach and melon. Oak Barrel Reserve is aged in oak barrels sourced from Laird apple brandy distillery. It is a full bodied cider with aromas of caramel, vanilla, toasted oak. The thirds is Hop Cider made from Albemarle Pippin & Gold Rush apples combined with whole leaf Citra and Amarillo hops. Their unique cold infusion process brings out the delicate hop aromas and flavor. It’s perfect gateway cider for the craft beer lover! 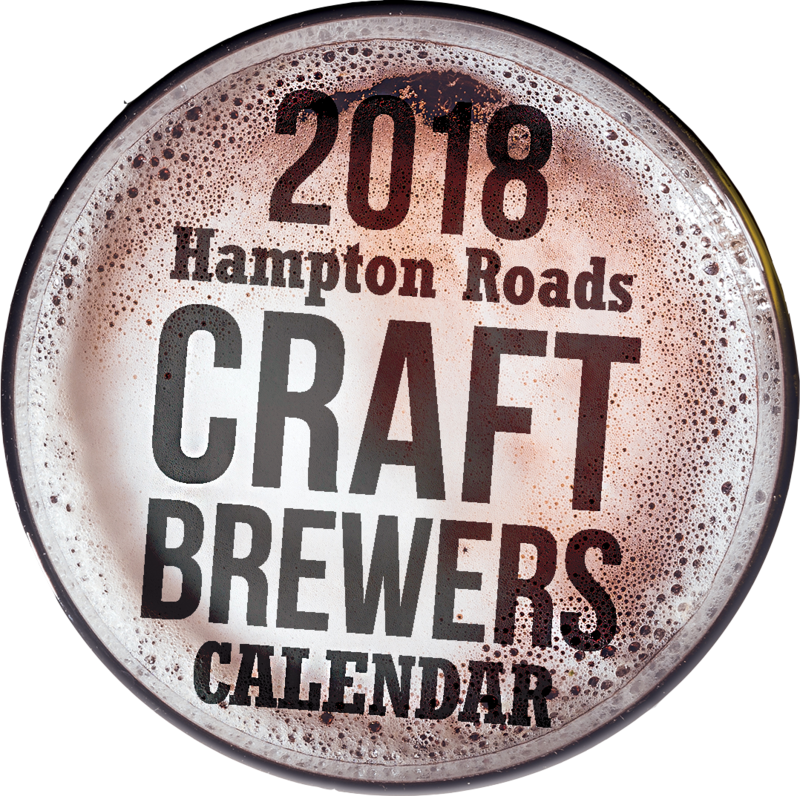 In addition, they have been working on small batch barrel aging projects with distilleries such as Copper Fox Distillery and Virginia Distilling Company. 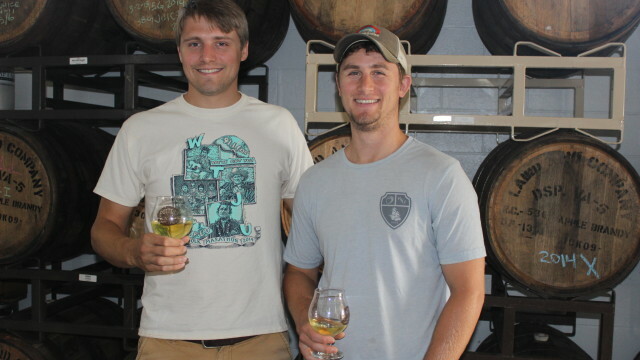 They created their Ryesap Cider aged in rye whiskey barrels from Copper Fox Distillery. 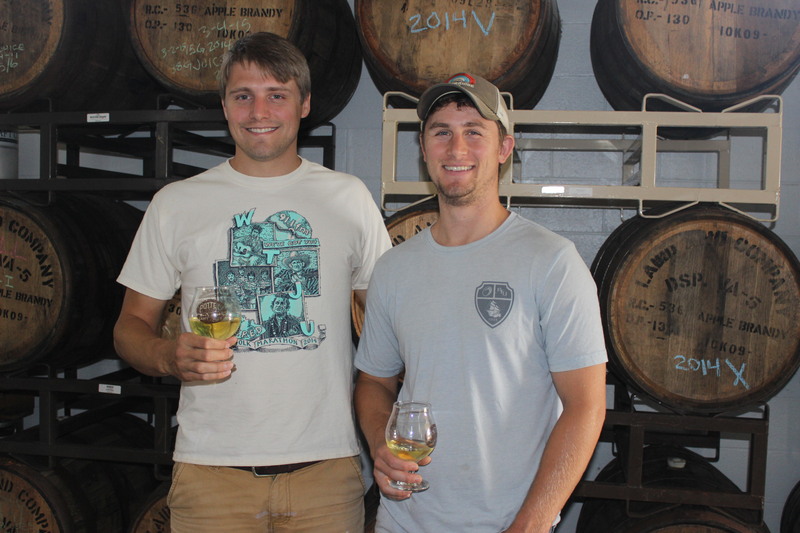 And, they are working on a single malt cider using barrels from Virginia Distilling Company. Another small batch creation was their Grapefruit Hibiscus which is part of their Sapling Series. Next up will be experiments with peaches, raspberries, and blackberries. For more information, check out potterscraftcidercom.